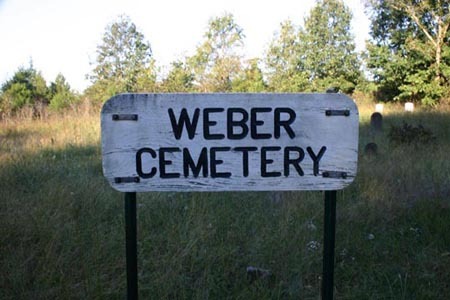 Directions: This cemetery is located west of Anutt. Take Hwy O west from Anutt, about 1.5 miles County Road 213 (gravel). Take CR213 north to CR212 west (a rarely-used one-lane gravel path) for approximately 2.5 miles. After you take a curve to the left, the cemetery is on the right. This cemetery was once cared for by my Aunt Mary Ruth Case, but since she's passed on, no one has cared for it, and it now has knee-high grass and brush. Watch out for cactus around the Marsh graves (where'd that come from?)! The J.W. Case graves are way in the back of the plot.